After a 3-day weekend off from the 4 Weeks to a More Organized Home series, I was ready to jump back in to cleaning! Today’s assignment was to clean all the vents in the home…to wash those that are removable, and to vacuum or wipe those that could not be taken down. Piece of cake, right? 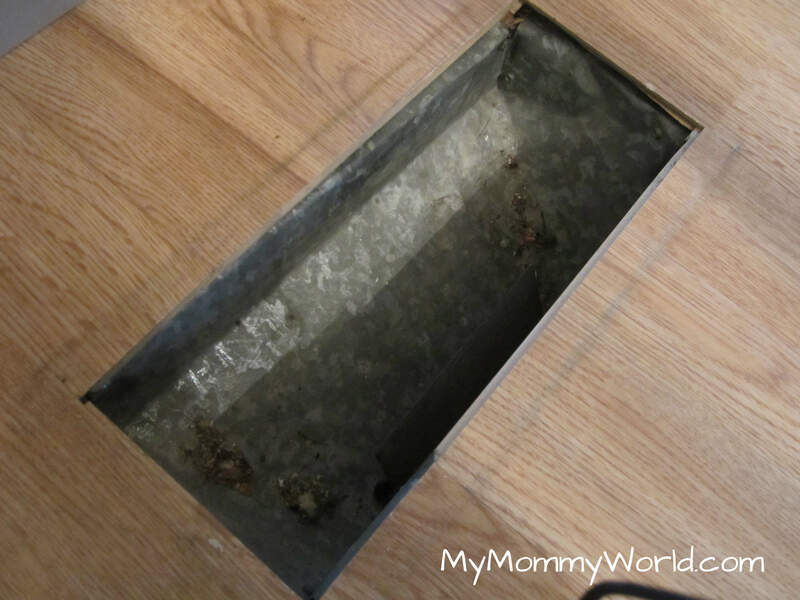 I started with the floor vent nearest the kitchen table where my little boy sits. And was I in for a shock….there were tons of cracker crumbs, dog hair, and this…. How the heck did that stuff get down the air vent?? 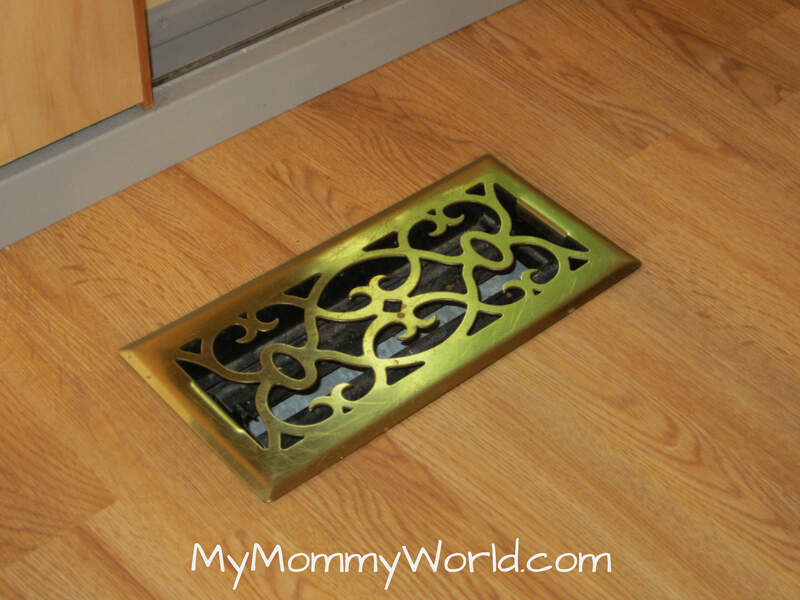 Oh yeah, that’s right…I have a mischievous little monkey running around my house who likes to play with the vent covers! 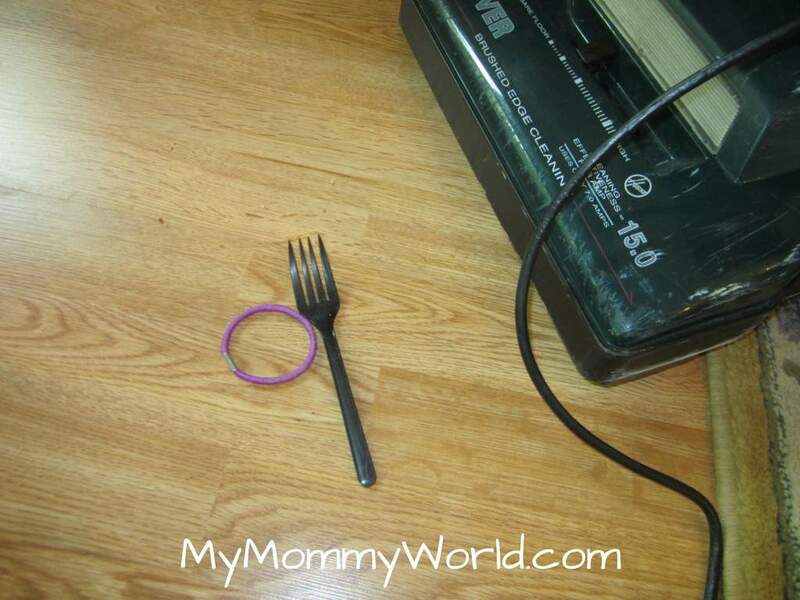 😉 Actually, I’m pretty sure that fork is not ours…must have been left by a previous owner (I hope!)? 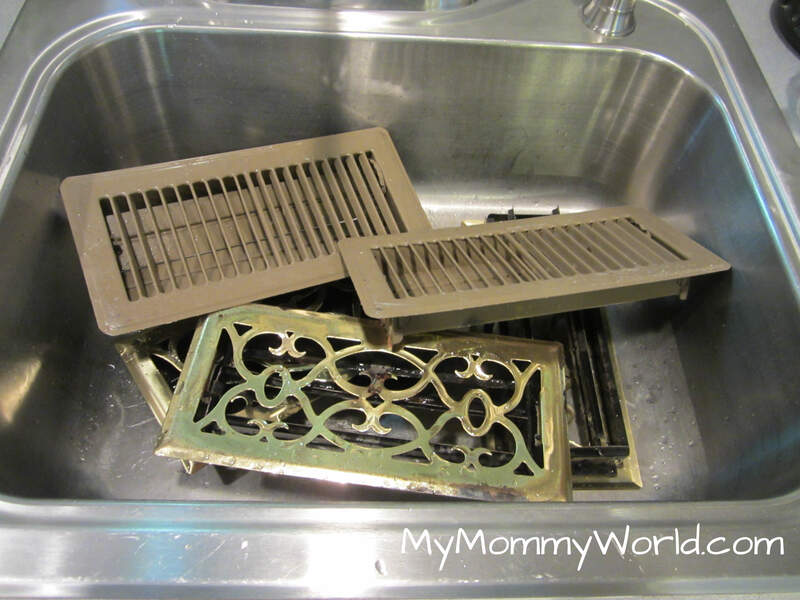 After vacuuming out all the floor vents, I threw the covers in the sink and washed them with hot, soapy water. I was able to just vacuum the rest of the vents to get the dust off. 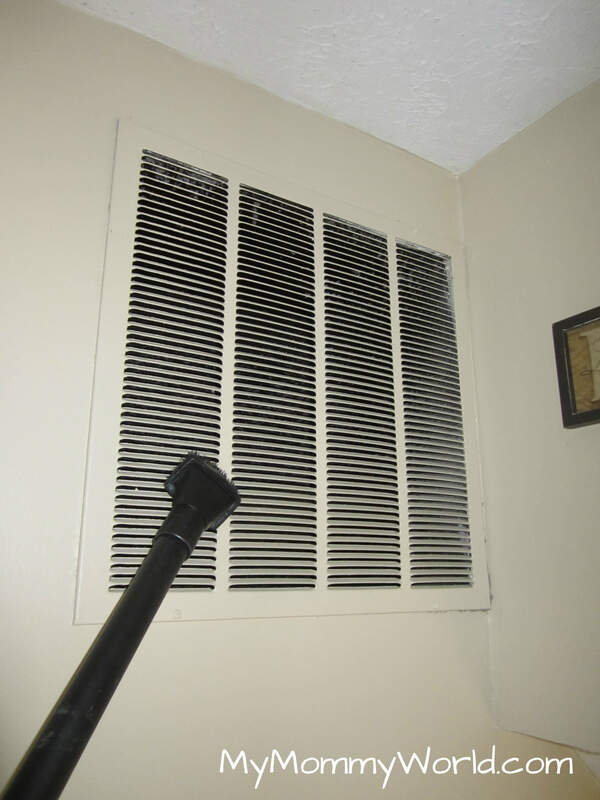 This particular vent is right at the edge of the top of the stairs…it was a challenge to get clean! Another day down, another part of the house all clean! I wonder what Crystal has in store for us tomorrow…. Isn’t amazing how much dirt collects in those vents. I am glad to have all of mine clean. Our vent by our kitchen table also collects a lot of yuck.